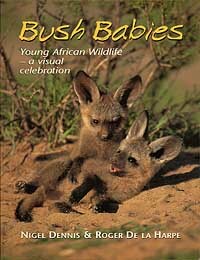 Essential reading if you wish to optimize your visit to the Kruger National Park. 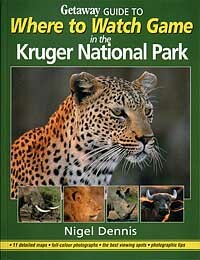 A must for any visitor intent on seeing - and photographing - as much game as possible during a stay in this renowned Park. Each camp and the roads around it are described in detail, together with a map of wildlife hot spots and top game drive routes highlighted. Best waterholes for photography are also indicated, along with useful general hints and tips on photography. 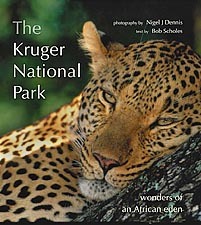 The information in this book is based on 800 days Nigel Dennis spent in the Kruger National Park over many years. 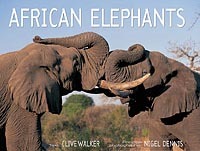 Email feedback from readers who have followed the game drive routes in this book have reported "Our best trip ever to Kruger", "Fantastic sightings of the big cats" and "Great photo opportunities". 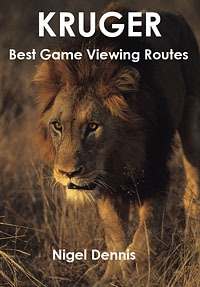 This ebook is an updated and revised version of the hugely popular 'Getaway Guide to Where to Watch Game in the Kruger National Park'. 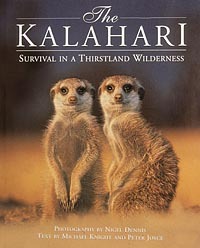 The remarkable collection of photographs in this book provides a rare insight into the fascinating world of meerkats. Here these endearing little carnivores appear in their many moods and in a wide variety of daily activities, from grooming one another to taking turns on guard duty, and from catching scorpions and small reptiles to setting forth to do battle with rival mobs. 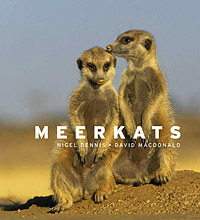 This stunning portfolio is accompanied by an informative and readable text by David Macdonald which provides an overview of the meerkats’ lifestyle and behaviour, and examines their social make-up and adaptations to a hostile environment. Published June 2009 by A & C Black (London). ISBN 9781408112120 (previously published by Struik New Holland). Hardback 104 pages. 256x220 mm. Illustrations - colour photos throughout. Price £14.99. The publishers have sold out of stocks of this title. New and used copies may be available from online bookstores. The result of a two year photographic project, this book has proved very popular and is now due to go into an eighth reprint as a new revised edition. The photographs show the animals, birds, reptiles, flora, trees and varied habitats of South Africa’s premier National Park. Comprehensive text by Bob Scholes gives a wonderful insight into the ecology of the region. 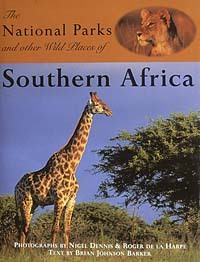 Don't visit the Kruger Park without a copy of this book! Revised Edition December 2005. Struik New Holland. ISBN 1 85368 593 3. Hardcover 30cms x 27cms. 176 pages. First published 1995. Price R230.00. In Nigel’s own words, the aim of this book is to provide ‘a simple, no-nonsense, nuts and bolts guide to help you catch more trout’. A rationalized approach to fly selection is suggested drawing on the latest American and European innovations - to offer a core of highly effective contemporary patterns. 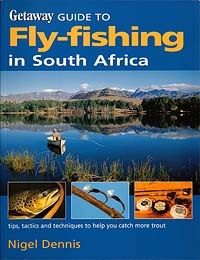 The main emphasis of the book however, is on trout location and fly presentation, in both still waters and rivers – the very essence of successful fly-fishing in South Africa. Other topics include troubleshooting casting faults, float tubing tactics and advanced techniques for catching highly educated fish. Although aimed primarily at the intermediate angler with at least some fly-fishing experience, the easy style makes the book accessible to the novice, and even the experienced angler will find fresh and effective ideas in this guide, Lavishly illustrated with images by Nigel and Wendy Dennis. This hugely popular book is a must for any visitor intent on seeing - and photographing - as much game as possible during a stay in Kruger. Each camp and the roads around it are described in detail, together with a map of game hot spots and top game drive routes highlighted. Best waterholes for photography are also indicated, along with useful general hints and tips on photography, plus a mammal checklist. 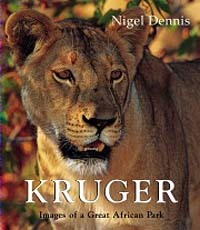 The information in this book is based on the 800 days Nigel Dennis has spent in the Kruger National Park over a past twelve year period. The book is beautifully illustrated with many of Nigel's photographs. Essential reading if you wish to optimize your visit to this renowned Park. 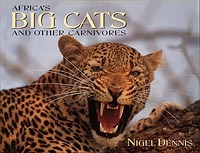 Email feedback from readers who have followed the game drive routes in this book have reported “Our best trip ever to Kruger”, “Fantastic sightings of the big cats” and “Great photo opportunities”. Available from most South African bookstores. The publishers have sold out of stocks of this title. New updated and revised version now in ebook formats. See Kruger Best Game Viewing Routes above. Few experiences can match those of observing wildlife in its natural environment, and even fewer can match the enchanting sight of the birth of a new generation of animals as they tentatively take their first steps into a brand new world. With more than 100 photographs the book shows a wide variety of young African wildlife from newly born lion cubs to just hatched crocodiles, to endearing elephant calves and cute baby meerkats. Photography by Nigel Dennis and Roger de la Harpe with a simple concise text filled with fascinating facts written by Wendy Dennis and Pat de la Harpe. Ideal for the younger reader - as well as adults fascinated by wildlife. 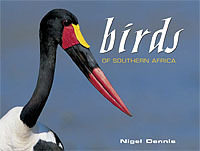 Nigel Dennis's striking images of the Kruger Park and its many inhabitants are prefaced by an informative textual introduction to the conservation and natural history of this region. Michael Brett describes the diverse habitats of the southern, central and northern regions of the Park, and gives insight into the diversity of wildlife characteristic of each of them. Landscape-format with panoramic vistas showing the rich diversity of animals and habitats in the Kruger National Park. Features birds, reptiles, trees and flora as well as big game. An ideal coffee table memento for every visitor to this magnificent Park. The Kgalagadi Transfrontier Park is one of our favourite photographic destinations. Nigel and Wendy spent fourteen months there over a two year period when collecting pictures for this book. Their aim was to portray the diversity of life in the Kalahari throughout the seasons. Includes coverage of rare and seldom seen species - such as the prehistoric looking pangolin. Also shows enchanting images the Kalahari’s wonderful meerkats, as well as the famous big cats of this region - lion, leopard and cheetah. Excellent well researched text by Michael Knight and Peter Joyce. First published 1997. Struik New Holland Publishers. ISBN 1 86872 019 5. Hardcover 29cms x 26cms. 168 pages. Price R250.00. 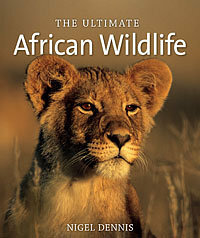 Based on 20 years of traveling through southern Africa’s finest game reserves the author imparts much of his hard earned wisdom in a straightforward way that simplifies the technical complexities of wild life photography. With both digital and film media the art of making a picture come alive lies in its composition and lighting. Nigel shows the reader how to recognize ‘golden light’ as well as valuable advice on how to greatly improve the appearance of a photograph in other less than ideal lighting situations. Even the more complex aspects of photography such as selecting the appropriate aperture and shutter speed, making exposure compensations, and fill flash techniques are explained in clear simple terms. Apart from the invaluable photographic advice offered the author shares South Africa’s best-kept wildlife secrets: where to go to photograph wildlife, the best time of year to visit, and the game species you are most likely to find as subjects in each reserve. The publishers have now sold out of stocks of this title, but copies may still be available at certain bookstores in South Africa. Across the open savanna the fleet-footed cheetah chases down an impala, while in a thicket a leopard, coiled like a spring under tension, waits to pounce on a bushbuck; in a clearing among acacias a lion pride ambushes a mixed herd of zebra and wildebeest. These are the images of Africa’s Big Cats and other Carnivores captured in eternity through the lens of Nigel Dennis. 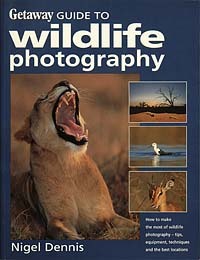 In addition this book features a highly informative text by specialist lion biologist Paul Funston. This book has everything from an aardvark to herds of zebra, plus birds and reptiles as well! 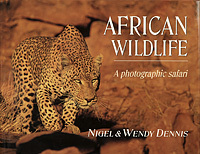 The entertaining and informative text by Wendy Dennis gives concise details of lifestyle and habitat of each animal covered. This extremely popular book had reprinted numerous times - highly recommended! Co – photographed with Roger de la Harpe. Their aim was to produce not only a strong visual portfolio, but also a book packed with useful information for the traveler. The reader friendly narrative, by Brian Johnston Barker, highlights the subcontinent's finest ecotourism destinations. Maps and fact-filled boxes compliment the text. The publishers have now sold out stocks of this title, but copies may still be available at certain bookstores in South Africa and via Amazon.com. 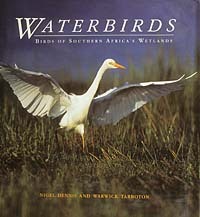 Illustrates 83 waterbird species, with an emphasis on depicting behaviour, feeding, courtship and flight. Much of the photography was done at water level using floating hides and other strange devices! Informative and highly readable text by top ornithologist Warwick Tarboton. Please note retail prices quoted are for guideline purposes only and may change without prior notice.